The San Biagio Relais is a delightful hotel in the centre of Orbetello, in the heart of Tuscany. Its historic buildings were formerly residences of the local nobility. You can spend your holiday playing golf, walking in Porto Ercole or swimming in the sea, in one of Argentario's coves. The San Biagio Classic Rooms are the perfect rooms for a comfortable and exclusive stay: in fact, they are all different! That’s how we can give to our guests a unique and always different experience. San Biagio Superior Rooms are the compromise for who is looking for something more than a Classic but do not chase the luxury of the Suite. Superior Rooms have all the comforts needed, to make the best possible experience for our guests. 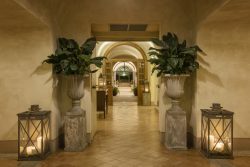 Junior Suites are the first type of San Biagio’s suites. Elegant and welcoming, with frescos on the ceilings and comfortable spaces they will make your stay even more special. 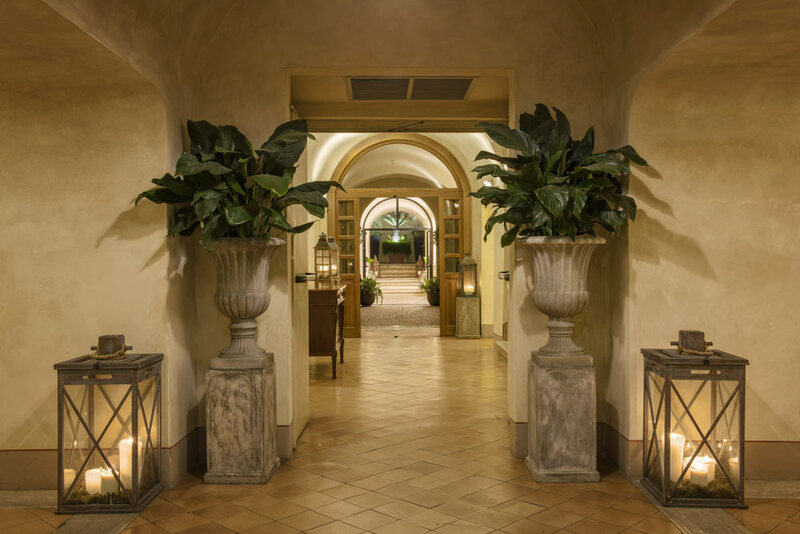 San Biagio’s Suites express all the charm of the ancient palace where the hotel is. For style-lovers and for who looks for a real experience, beyond the holiday. San Biagio’s Master Suites are the ultimate solution for a charming and luxury stay. Built on two levels, decorated with ancient forniture and paintings on the walls, you will think to stay in a Sixteenth century apartment, with the comforts of the Twenty-first century. The San Biagio Relais is a Design Hotel located in the historic centre of Orbetello. It has imposing, thick stone walls and was formerly an aristocratic residence or palazzo whose construction probably dates back to the late 15th century. Its current eclectic-historic style is the result of a major nineteenth-century refurbishment which can be seen in its ashlar façade, the projecting string courses and the interior decoration. Nowadays the building is connected to the adjacent Palazzo Pretorio, which also dates from the 15th century. 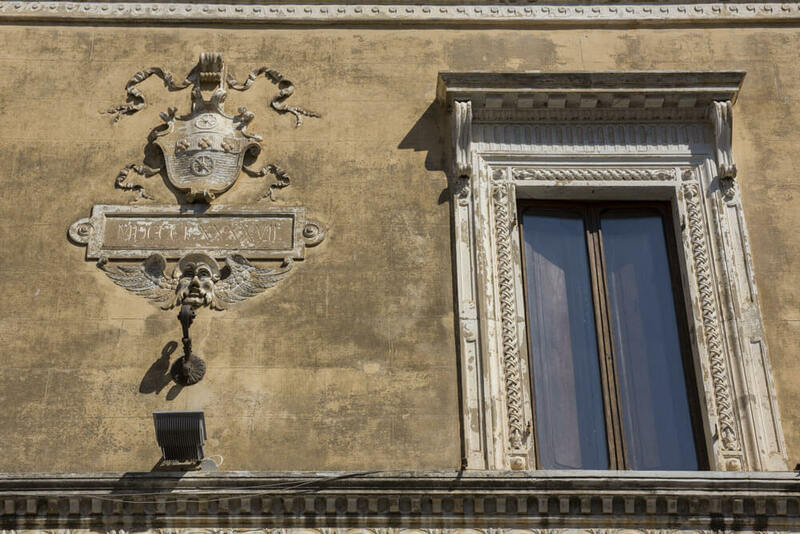 By careful studying their architecture, the two buildings were converted into a hotel without losing the original spaces, with their high, luminous frescoed ceilings. Some beautiful rooms were created, each of which is different from the others. All of them, however, have great charm thanks to the care taken with their design. Antique furniture and paintings have been carefully integrated with functional objects and furnishings of modern designers, such as Philippe Starck tables, Cattelani & Smith light fittings and Artemide table lamps. These give this Boutique Hotel a lovely atmosphere making you feel completely at home. The two former palazzi are linked by two communal courtyards in the centre of the building and by a kitchen garden which has been converted into a patio. 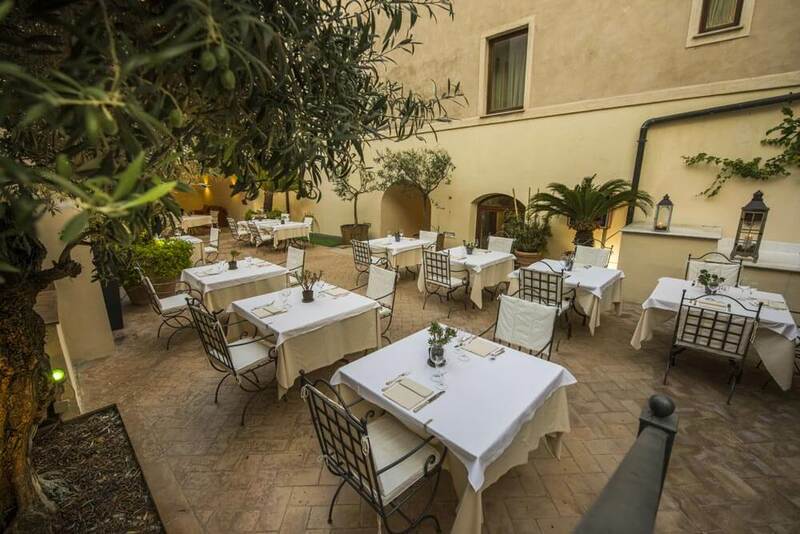 This area, which is cool and well ventilated, is mainly used by the guests and it is the setting for the two restaurants: La Corte Restaurant, where you can taste some typical Tuscany food, and the Hosteria Pirandello. The Tuscan countryside and the surrounding towns offer activities to suit all tastes. Walking and trekking in the beautiful Maremma Park, relaxation and wellbeing at a Spa (the Terme di Saturnia) or night life and entertainment in Porto Ercole and Santo Stefano. The choice is yours! Spend an unforgettable holiday at Orbetello in Maremma. Take advantage now of our packages and secret offers. Book and pay right away to have a 10% discount. The more you stay in Relais San Biagio, the less you pay! Choose the Long Stay package and get discounts on all our room categories!